The Minister has strongly criticised what he labelled “the constant misinformation” being propagated by the No side. FINE GAEL’S DIRECTOR of Elections or the Children’s Referendum Campaign Leo Varadkar TD has moved to criticise the information being presented by those opposed to the Referendum. Varadkar described the information being presented by the No side as “myths” and said it could cause some members of the public to be “misled on one of the most important referenda in the history of our State”. Deeply disturbing statements are being made by the No side, ranging from claims about forced adoption to the suggestion that this Referendum is a threat to parents’ rights. These are desperate attempts to derail a Referendum that, if passed, will have a hugely positive effect on child protection in this country. Varadkar said that a Yes vote will remove inequalities in adoption, meaning children in long-term foster care have a better chance of a safe and secure home in the long term, regardless of the marital status of their parents. “At the moment, it is virtually impossible for these children to be adopted by their foster families,” he said. The Minister also dismissed the assertion that voting Yes will lead to forced adoptions as “nonsense”, saying there are a number of safeguards in Irish adoption law to prevent this. He said that adoption cases must go through the Adoption Authority, must be approved by the High Court, and that anyone who wishes to be heard, including the prospective adopters, the natural parents or other relatives, must be given the opportunity to express their feelings on the prospective adoption. He insisted that an adoption will only be granted “if it is in the child’s best interests” and that the Referendum will not change any of these safeguards. The Minister said that Article 41 of the Constitution, which deals with the rights of the family, will not be affected in any way by the passing of the Referendum. “The rights and protections granted to the family by the Constitution remain intact and untouched. This has been clarified not only by the independent Chair of the Referendum Commission, but also by a coalition of parent’s groups who have urged a Yes vote,” he said. 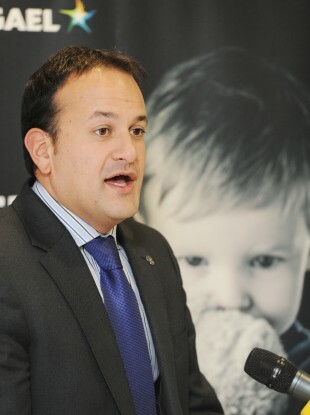 He also hit out at claims made by Kathy Sinnott this week that children in State care are six times more likely to die – saying that the “vast majority” of children in care in Ireland live with foster families, not in institutions or residential homes, and insisted that the death rate of children in care is broadly in line, and slightly lower most years, with the death rate of the general population. He asked anyone who doubted this to read the report of the Independent Child Death Review Group. Addressing claims that passing the Referendum will negatively ‘lock’ Ireland in to the United Nations Convention on the Rights of the Child (UNCRC), Varadkar pointed out that the country had already ratified the UNCRC 20 years ago. “It has been ratified by more countries than any other human rights convention. Since we ratified it, we have done much to act on its principles. But this Referendum doesn’t refer to it in any way, so it’s a bit of a mystery what point the No side is trying to make on this issue,” he said. “Those opposing this Referendum are doing us all a disservice by resorting to inaccurate, groundless claims. This Referendum, at its very core, is about protecting children and supporting families. A Yes vote will offer those children who are at risk in their own home, greater protection. It will ensure children are listened to, their interests are paramount and that all children are treated equally in adoption,” he concluded. Email “Children's Referendum: Varadkar hits out at the No side”. Feedback on “Children's Referendum: Varadkar hits out at the No side”.